Father’s Day, Dad’s Birthday, Christmas – if kids are still young, sometimes they need help with a gift for Dad. Why not get something for their quality time together? Father’s Day is coming – time to start sneaking gifts for Dad into the closet. That’s my customary holiday hide away. Last Christmas, I was busted by my son, so now we can share that secret place together. Father’s Day is a holiday where kids can express their appreciation to their dads, but our family is still pretty young, so our children could use some help doing so. Our three-year-old son is just starting to notice the meaning of different holidays, and we’re going to plan something with him for the first time. Our daughter will be a mere month old though, so she’ll probably just work on a particularly nice smile for Dad. That leaves me as the main director of our Father’s Day celebration. I couldn’t be happier about that! First of all, I do appreciate what a great father Jeffrey is to our kids, but there are also few things I enjoy more than making preparations for holidays. I carefully consider local family attractions, nice picnic spots and, of course, gifts for my husband. Usually, I try to find something that celebrates him being a dad that he can enjoy together with kids. These are the ideas I came up with this year. Stop reading around now, dear, or there won’t be a surprises for you! LEGO sets. Our dad was a big LEGO fan in his teens, and ever since Budster has been able to put two bricks together, the two of them have bonded over LEGO constructions, their heads bending together over the table. If I take my boy to the store to choose a gift, he confidently strides over to the shelves with LEGO boxes. When I asked him what we should get for Daddy, he grabbed the box with the TIE fighter set and insisted that this was exactly what Daddy wanted. He may not be wrong! Besides Star Wars, other popular LEGO series in our family are Classic and Creator. With Classic sets, we get a box of less specialized parts along with a booklet of suggested projects. 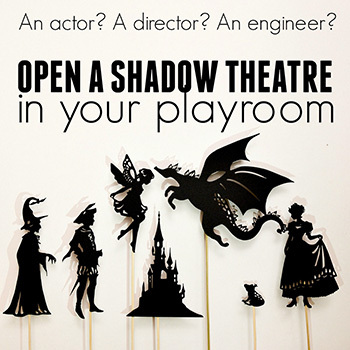 Great for imaginative family time! 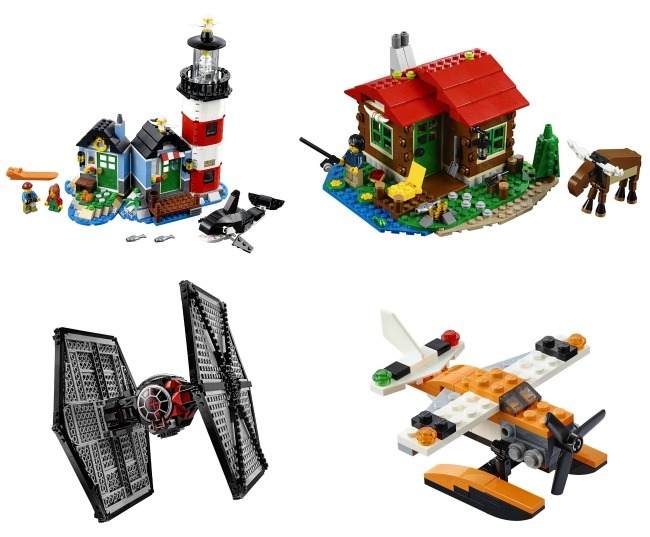 Creator sets often offer more unique buildings than you’d find in the City series, and each set actually have three possible constructions on a theme, which can be made with same parts. I’m particularly fond of these newest additions to the series – a lighthouse set and a lakeside lodge set (check out the adorable moose)! Another idea is to get a couple of little sets like this sea plane and have a friendly competition of who can build them quicker. With three projects to make out of each box, Dad can call “best two out of three” if Budster is getting ahead. Jeffrey has been asking me to get him a microscope for a while, and when I mentioned the pocket version (20x-40x or 60x-120x magnification), he said he was definitely interested. For the last month, he’s been reading books about insects to Budster at bedtime, so it must be the right time! Telescope. 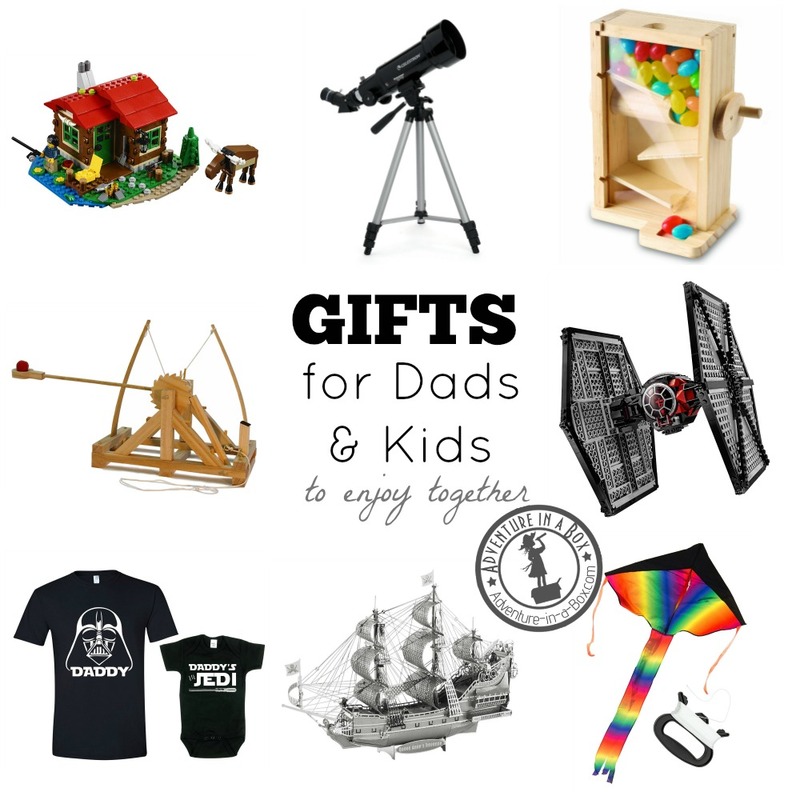 With some padding to the budget, a telescope could be another wonderful gift for dads and kids to explore together. With cheaper ones, you may not be able to resolve the same detail, but it’s about experience as much as about education. Imagine preparing a little snack and blankets, then going into the backyard at night or driving somewhere into the country where the lights of the city wouldn’t interfere with you space observation. Finally, sitting quietly under the vast, dark sky and waiting to have a glimpse of Venus or Mars. It seems like a perfect bonding experience for dads and kids. Once Jeffrey and Budster are done observing the small life with the microscope, I am sure they will be happy to turn their eyes skyward. Building kits. I imagine that years later our kids will remember their Dad as always building, fixing and tinkering. He enjoys showing them how to build things, and we can cajole our three-year-old to do many a thing with the promise that he can build something with Daddy later. 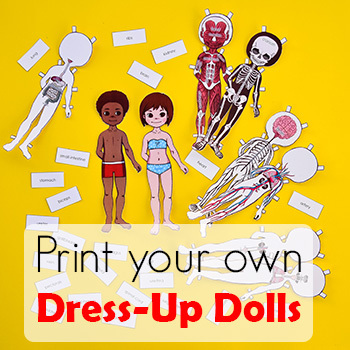 They’d love some simple projects to put together quickly. This wooden catapult kit looks awesome, and my sweet-toothed men would certainly like to fill this wooden candy maze with yummy goodies! We have also been looking at the metal model kits, but we’ll probably wait a few more years until Budster is old enough to offer a meaningful contribution to these intricate projects. The kits include Star Wars, Star Trek and Transformers themes for fans, as well as many generic ones, like ships or insects. 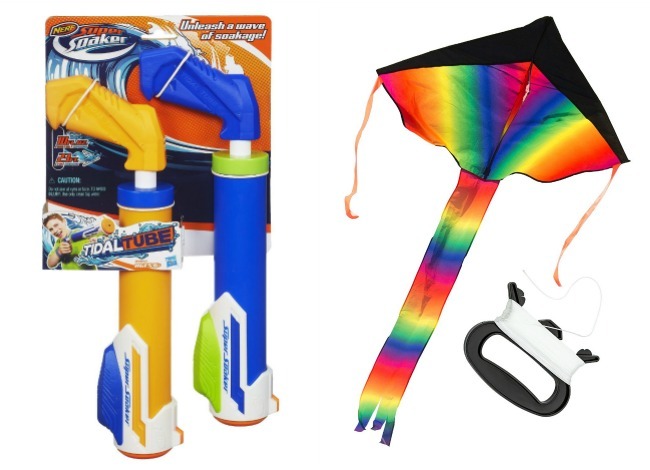 A set of water guns for Dad and kids. If you happen to walk by our house in the heat of summer days and hear shouts from the backyard, don’t worry! We’re probably cooling off by having a big family water fight. A few years ago, I got water guns for my husband’s birthday, and we had a splendid time chasing after other outside. Jeffrey quickly discovered all the special features of his gun and soaked me thoroughly, but I only remember feeling happy about his boyish delight at playing with guns! Since then, it has become a family tradition. But the guns have finally broken after three summers, so we need a replacement. Kite. Flying a kite requires a certain amount of skill, but it’s always beautiful to watch, so dads and kids can make a perfect kite flying team. A year ago, our dad seemed to have even more interest in the kite we got than Budster did, but this year Budster is catching up on the fun. RC Toys. Another toy that appeals to dads no less than to kids! 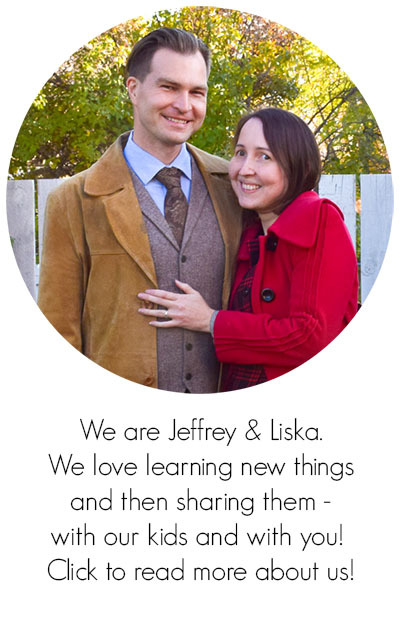 Jeffrey is more of a nature and do-it-yourself guy, not so much into technology or vehicles. So, it was a surprise when he fondly mentioned playing with radio-controlled toys. Admittedly, he was most interested in flying vehicles, and they do seem very cool! If Dad likes the idea of flying a helicopter around, I can imagine our son going absolutely crazy over it. 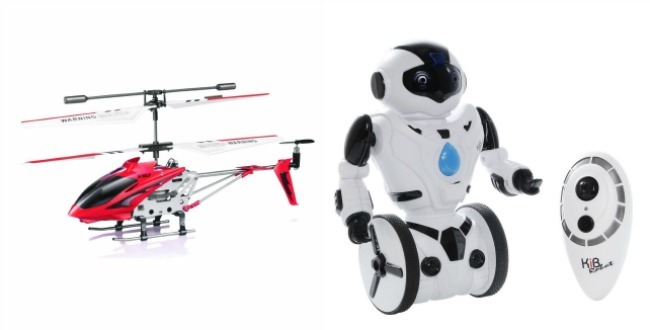 And what about controlling a robot who can dance, run and carry loads? Non-fiction books with lots of pictures and photographs for Dad and kids to pour over. The subject of the book would, of course, depend on the interests that Dad and the kids share. Jeffrey and Budster like reading books about animals together. 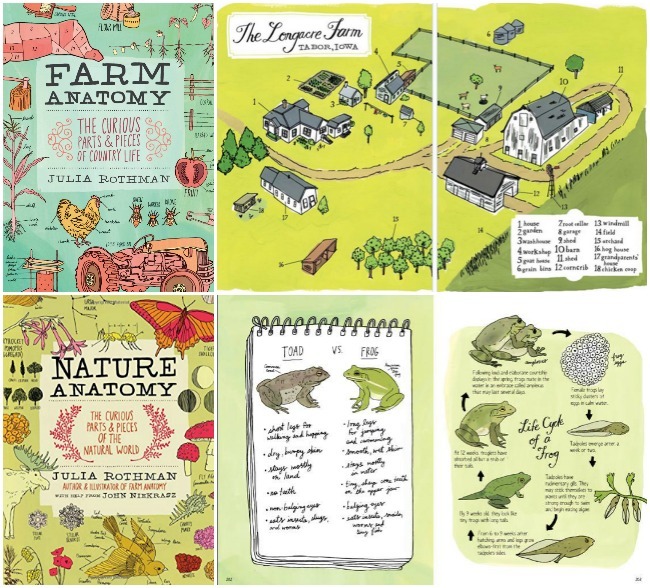 Last year, I got them this Farm Anatomy book – a quirky and fascinating illustrated reference to farm life. While its contents are primarily pictures (from tractors through the years to different animal breeds and plant varieties), it isn’t strictly for kids and offers a lot of fun statistics and numbers. This year, I’m looking at Nature Anatomy! Matching clothes for Dad and kids. Our son is at the age when matching clothes are very exciting, and his delight is contagious. I think he’d love to have a shirt like Dad, and it’d be sweet to see them dressed the same way. Since Dad has been putting our oldest one to bed, I think matching pyjamas or pyjama shirts would be the best. How about these Star Wars shirts for fans like my guys? Or these computer-themed ones? These dinosaur shirts are sweet too! They also like to cook together, so I’d love to make them a set of matching aprons. I wonder if I would have time this year! Experiential gifts. Cinema tickets. Zoo tickets. Water slides passes. Favourite restaurant gift card. Anything to make it easy for dads and kids to go have a good time and make memories together! Can’t wait to have some family fun this year! What do you plan for your Dad? 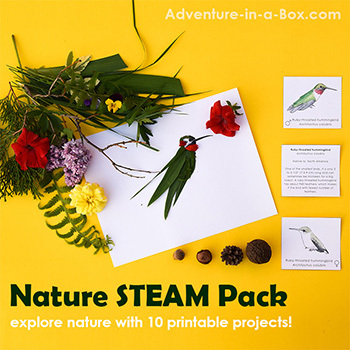 If you want to stay updated with new stories from Adventure in a Box, consider subscribing to our Facebook, Pinterest, Twitter or Instagram pages.